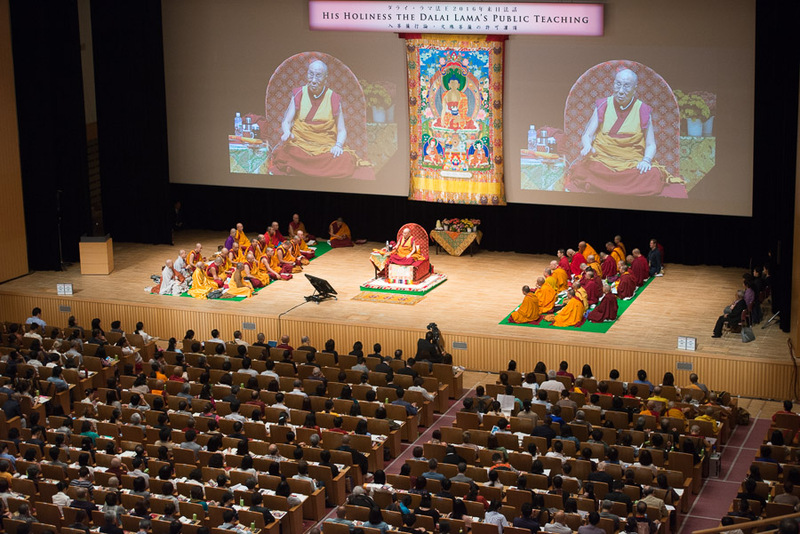 (TibetanReview.net, May10, 2016) – Devotes from several Asian countries, including mainland China, are attending a four-day religious teaching by Tibet’s exile spiritual leader, the Dalai Lama, beginning May 10 in Japan’s second biggest city of Osaka. The teaching is on Shantideva’s ‘A Guide to the Bodhisattva’s Way of Life’ (Tibetan: Choejug) and is being held at the Osaka International Convention Centre from May 10 to 13. Some 2,700 devotees are attending the teaching. The teaching is being organised by the Liaison Office of His Holiness the Dalai Lama/Tibet House, Japan, in collaboration with Japanese-Tibet supporters at the request of devotees from Mainland China, Taiwan, Korea, Singapore and Japan.